Real Madrid is looking to further strengthen its roster having big plans for this summer. Real Madrid football club might shortly have the basketball club’s company in terms of being called “Galacticos”. The policy of acquiring expensive and famous players is likely to be extended to Pablo Laso’s side per Marca. The Spanish outlet mentions that the EuroLeague club wants to add one more star and create more resting opportunities for Sergio Llull and Facundo Campazzo. Marca confirmed the interest for Nando De Colo and Vasilije Micic adding that Sergio Rodriguez and Kostas Sloukas are also on the list. 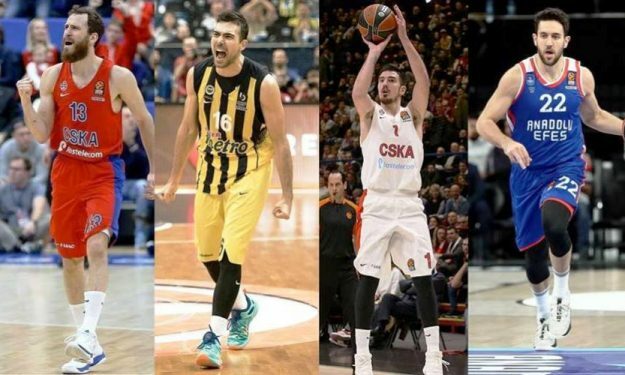 Acquiring any of the four above players presents its difficulties especially Micic and Sloukas, because Anadolu Efes and Fenerbahce hold a contract renewal option and Rodriguez’s contract with CSKA Moscow runs until the summer of 2020. However, Madrid seems to be already making its moves for a big addition ahead of the 2019-20 campaign.